Since 1992, Cobb County Master Gardener Extension Volunteers (MGEVs) have been providing a horticultural therapy program for rehab patients at WellStar Cobb Hospital. Initial funding was provided by the hospital foundation and from the proceeds raised from a 5K Fun Run. Today, memorial bricks are sold to provide funds. UGA Cobb County Extension’s Director at the time suggested to the hospital that Cobb MGEVs could provide the horticulture expertise and service to support the project. Through the program’s hands-on gardening activities, Cobb MGEVs help to enhance the rehab patients’ therapy and healing process. Raised beds make accessible gardening from the wheelchairs easy. The patients plant, mulch, water, weed, harvest a wide variety of seasonal vegetables, and eat the fruits of their labor. They always take time to smell the herbs, enjoy the differing aromas, and talk about their history and uses in the kitchen. 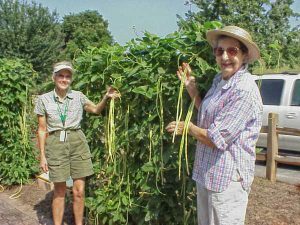 Master Gardeners are present in the garden year-round and spend time with patients every Tuesday. These weekly garden sessions give patients the opportunity to enjoy the rejuvenating fresh air and refreshing garden setting, which is filled with seasonal color. Patients often exceed their standing endurance and strengthening exercise goals as the time flies by while they are engaged in gardening activities. In the spring, the excitement of pulling carrots and onions and digging potatoes is a natural remedy. In addition to a variety of cool season vegetables, the garden is filled with blossoming flowers and emerging plants, filling the space with bright colors and symbolizing hope. In the summer months, the garden is overflowing with an abundance of vegetables and melons, and patients take the time to feed the koi in the nearby pond and enjoy the water lilies in addition their gardening work. In the fall, changing leaf colors and cooler temperatures greet the patients. Should inclement weather arise in the winter months, time is spent indoors working on horticulture-related crafts for the holidays. 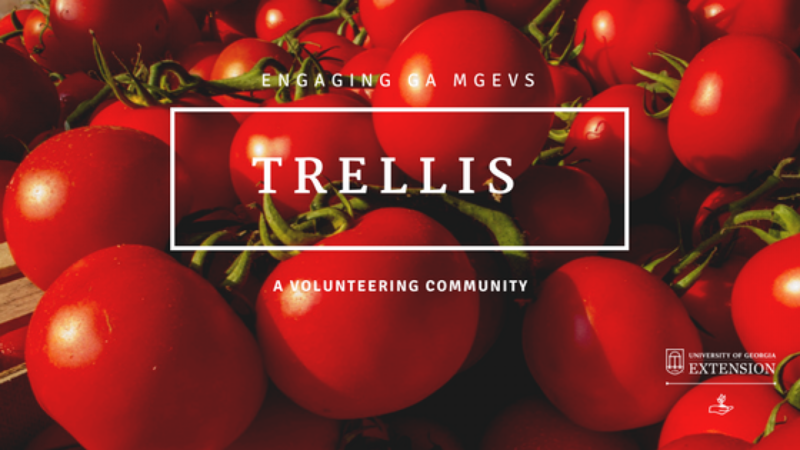 MGEVs of Cobb County have positively impacted many patients and staff members through the horticulture therapy program at WellStar Cobb Hospital. Hands-on activities and horticulture education provided by MGEVs has improved the healing process for patients. Master Gardeners demonstrate to patients that despite physical challenges, they can continue to successfully garden or begin a new hobby through adaptive gardening practices, like the use of raised beds, large container gardening, or vertical trellis gardening. Cobb MGEVs find joy in brightening the days of patients through the time spent in the garden. The empowerment of caring for other living things, plants, and having conversation that does not revolve around medical issues has proved to be healing, therapeutic, and rewarding to the patients, their families, and MGEVs. In addition, the garden is open to the community. Year-round, it is a place of hope, encouragement, support, and healing through horticulture therapy activities and education provided weekly by MGEVs. *This Cobb County project was featured as a 2016 Project Spotlight. To learn more about the project spotlight process and other MGEV projects around the state, go here and here. Posted in Projects, Volunteering. This entry was tagged healing, health benefits, horticulture therapy. Bookmark the permalink.